Avira Phantom VPN Pro is another commercial VPN (Virtual Private Network) service in the crowded and competitive market. Like other VPN services, Avira Phantom VPN Pro helps users to surf the web securely and anonymously in order to keep the activities private and hidden from your Internet Service Provider, plus bypass geographical restrictions or censors by setting your internet connection to appear as from somewhere else. One major advantage for Avira Phantom VPN Pro is that its reputation is backed by one of the famous household names in security software industry, Avira, a German company. 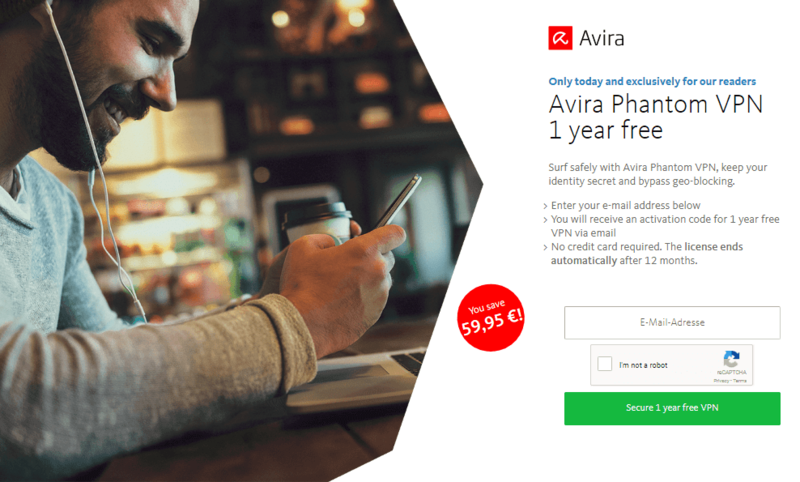 Avira has been providing various antivirus, Internet security, privacy protection software for computers, smartphones, servers and networks for many years, and is trusted by many users. Avira Phantom VPN actually has a free and paid Pro version. The main differences are that free version is limited to 500 MB of VPN data traffic per month and does not have fail-safe mechanism that automatically cuts off Internt connection when VPN connection drops. The web page is in German, but there is really nothing much to fill in. Just enter your email address and pass the reCaptcha, and you will receive an activation code for 1 year free VPN via email. No credit card required, and best of all, the license ends automatically after 12 months, so you don’t have to worry about cancelling the auto-renewal. Once you received the email with the title “365 Tage Gratis-VPN: Bitte aktivieren Sie Ihr Produkt!”, click on the green button (Download and Install) link in the email. You will be redirected to login (or create) Avira account. The Avira Phantom VPN PRO subscription plan is automatically added to the account of the same email address. 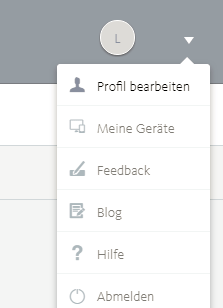 After logging in to Avira Connect, you can change the language to English by hovering over the down arrow on the top right corner and select “Profil bearbeiten” (Edit Profile). Then, select “English” for the “Anzeigesprache” drop down box (originally is Deutsch). Save the settings and the user interface will be changed to English.